Brian Eno was a guest on The Colbert Report last night, and one of the topics of conversation was the therapeutic powers of singing. Eno apparently likes to participate in a cappella groups in his spare time, and he often harmonizes with regular people who aren't professional singers. 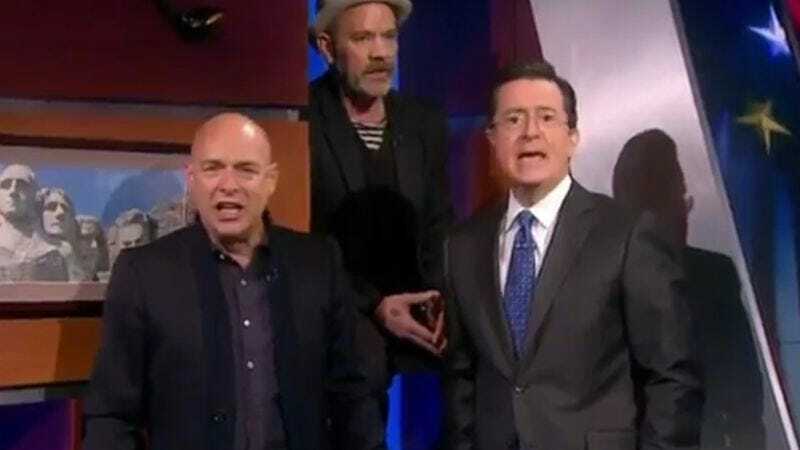 That wasn't the case last night, as Eno was joined by Colbert and R.E.M. 's Michael Stipe for a positively adorable rendition of Bill Withers' "Lean On Me." Check it out below.